The ProCorsa Women's Athletes Lounge Florence Cycling Jersey is designed to deliver podium-worthy speed without sacrificing comfort. 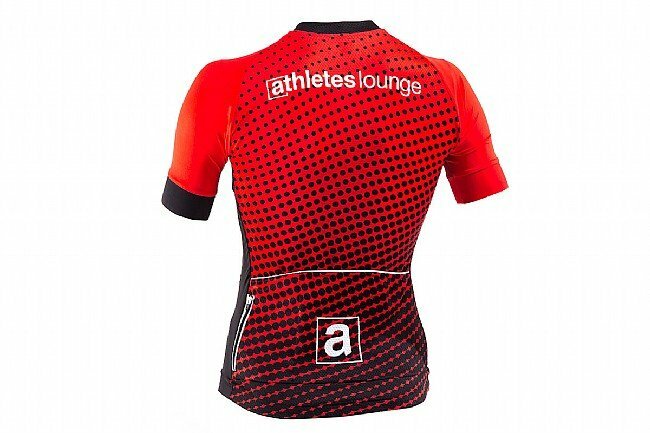 Crafted from premium Italian moisture-wicking fabrics and constructed in Romania, this jersey sets you free from discomfort. 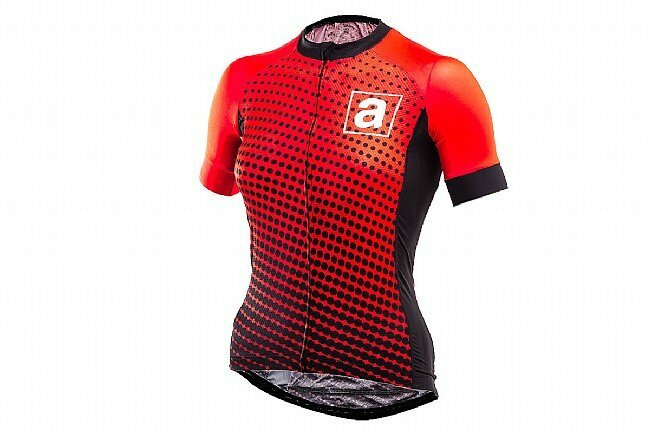 Featuring comfortable Raglan sleeves that are soft to the touch and help keep you cool, this race-worthy jersey is comfortable enough to sleep in with its slightly relaxed tapered fit through the body. With the full-length zipper, dial in the fit and get a little more ventilation for those long hot rides, while keeping your neck protected with the zipper garage once you sew it up tight for the descent. Three rear pockets stow away the necessary riding essentials like your flat kit, spare tube, and nutrition, while an additional zippered moisture-resistant pocket is perfect for your phone or wallet. Available in sizes S - XXL. Made in Romania from premium Italian fabrics. Chest 32" 33"-35" 35"-37" 37½"-40" 40½"-42½"
Waist 24" 25"-27" 27"-29" 29½"-31½" 32½"-34½"
Hips 34" 35"-37" 37"-39" 39½"-42" 42½"-45"